Well done to the St Mary's team who got through to the hockey finals and came 6th! A great effort by all. Congratulations to sports crew who ran a brilliant fitness circuit for all year groups. Superb leadership!!! Congratulations to both the A and B football teams who have been brilliant sportsmen and women throughout the season! Congratulations to the two St Mary's Hockey teams who entered the local competitions placing 3rd and 5th. A great effort by all!! Year 4 had a brilliant morning at the netball festival. they really enjoyed learning lots of new skills and practising their cooperation and collaboration skills. We can't wait to attend again next year! Congratulations to the swim team who placed 2nd overall and gained three individual medals in the gala. Our best result to date!!! Swimming silver medalists- 4th March!!! Football and Netball tournaments-27th February! Both A and B squads for football and netball did very well at their respective tournaments today. They were a credit to the school! Congratulations to our gym team who won the whole gymnastics competition progressing through to the Mid Sussex Finals. We are so proud of your commitment and can't wait for you to compete in the finals. The year 5 sports crew thoroughly enjoyed training to be the next Sports Crew at Imberhorne school this week. They will be great leaders! Cross Country Finals- 15th January! Well done to our 4 finalists who were very competitive in the cross country finals. They tried really hard in tricky conditions. Big congratulations to Harriet who progressed through to the next round. Congratulations to the A and B team who played some brilliant matches. They represented the school brilliantly. St Mary's had a brilliant time at The Triangle. We all really enjoyed trying different activities like yoga, zumba and aerobics ! The children really enjoyed trying to teach their teacher to floss too! The A and B team netballers had a super time at their first matches of the year. We were very proud of how well they represented the school. A brilliant time was had by all at the year 4 football tournament. Congratulations to all the children who took part. Congratulations to all the competitors who took part in the Cross Country. You did a fantastic job and showed great tenacity!! Another well done to the four children who qualified for the finals. We are proud of you all!! A fantastic start to the academic year for St Mary's students. All classes have enjoyed starting their different units in P.E. and there has been a great uptake on our after school clubs! Some children are also running lots at lunchtime in preparation for the upcoming cross country competition! Congratulations to all the dancers who showcased their talents at the Sackville Damce Festival on 25th April! We are so proud of you all! match today meaning they won their league!! Everybody had a superb game and played their best throughout. They will now go through to the area final- watch this space!! Another well done to the St Mary’s B team who won their first match and lost the second during their final games today. For the first time, many year 4’s have been selected for this team and they have done themselves proud. who placed 5th out of 16 teams. It was an extremely tiring day and everybody worked hard and played brilliantly! brilliantly and we came 5th. superb effort everyone- well done! A huge congratulations to the Sports Crew who led their first intra-house competition for the whole school today. They were fantastic young leaders and really did the school proud. Great job-well done! Netball, football and Sportshall athletics match reports-written by the children. Well done to the 20 children who represented the school in our local sports hall athletics! St Mary’s came 2nd in their round and we are incredibly proud of them! A huge well done to the netball A and B teams who both won their first matches this week! we are very proud of you all- well done! Brambletye Football- well done to all who took part! A big well done to both the boys and girls teams who competed this Sunday in the cross country competition. Everyone completed the challenging course and should be very proud of themselves! Well done St Mary's! Girls Football- 3rd place! Well done!! A huge well done to the year 4 golfers who came first in the golf competition so will be attending the Youth Games. We are very proud of you- amazing achievment! Cricket team- a brilliant 3rd place!! Girls Football- second place! A huge well-done!! 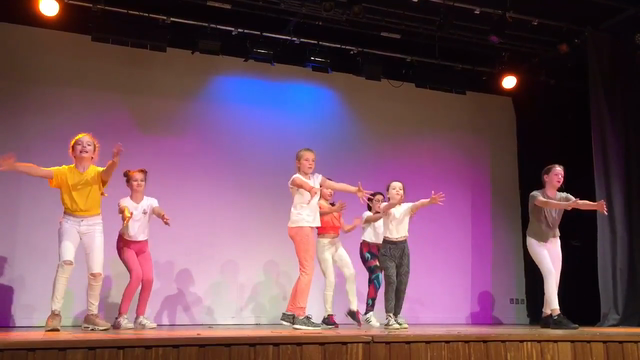 Congratulations to all the children who participated in the dance festival. Their dance called 'Collaborate' was a huge hit. The children have put in a huge amount of hard-work and they did themselves and the school proud. Brambletye Cross-country team- well done everybody! The year 5 crew were trained up at Imberhorne today and are raring to go! They are going to be a great sports crew- well done! Congratulations to Beth and Hannah in Year 6 who reached the Mid-Sussex Cross Country finals and both placed in the top 12! Great achievement girls- well done! A lovely letter of thanks for the cross country event organised and run by our Year 6 Sports Crew. Well done Crew- we are very proud of you! Sports Hall Athletics!! St Mary's were excellent and came in third place!! St Mary's achieve GOLD Sportsmark Award!! Such a fantastic effort from a mixed Year 3 and 4 group representing Mid Sussex at The Sussex School Games which was held at K2 today. They beat 8 other competition areas, behaving in a fair and sporting manner and are now the 'best tri-golfers' in the whole of Sussex. Well done to you all. Today St. Mary's participated in the Year 3/4 Tri Golf competition and won. As the highest scorers they will now go through to represent Mid Sussex at the Sussex School Games on the 29th June. Well done to you all. Well Done to our winning tennis team! Well done to our Girl's football team who won their tournament on 4th May 2016!